Tarte is only available in the UK through QVC. The Tarte range is limited but luckily they have this concealer. The Tarte website does ship to the UK although I think it's pretty pricy. But because this is from the UK shipping was around £5, which for second class post is pretty steep, but still cheaper than the US. From QVC the concealer can't be brought alone. It can only be brought with a Beauty Blender style sponge. So for the set it cost £27. Which is super frustrating because I'm really not fussed about the sponge and actually makes this pretty pricy. The concealer on its own from the Tarte website is £19, which is far more reasonable! The packaging is nice. It has a Doe Foot applicator which is huge! It's double the size of a regular Doe Foot applicator. I think this is because it's designed for contouring too so it covers a larger area. So the concealer itself is really nice! I went for the shade Light Medium and when I received it I thought it was going to be too dark to use under my eyes but thankfully it works really well. I think on the QVC website they have 6 shades available but on the Tarte website there are 14 shades. The consistency of the concealer is quite thick but it's really creamy and so easy to blend out. It has a very good medium, almost full coverage. It's easily build-able to full coverage. And hides my dark circles really well! It has a very natural satin finish - That isn't too brightening it looks unnatural. It also works really well on blemishes too. It wears so well to! It does crease ever so slightly on me but all concealers do. But it doesn't look dry or cakey, flake or fade. it stays put all day! Is it worth the Hype.. So is this as great as everyone claims? I do really, really like this concealer. And if you're after a natural, good coverage concealer that works well under the eyes and on blemishes then this is a great option! But for me this isn't quite as brightening under the eyes as I normally like. But don't get me wrong I do still really like this and I do see why everyone loves this so much. Just for me if this was slightly more glow-y I would absolutely love it! Is it worth the hype? Kind of! 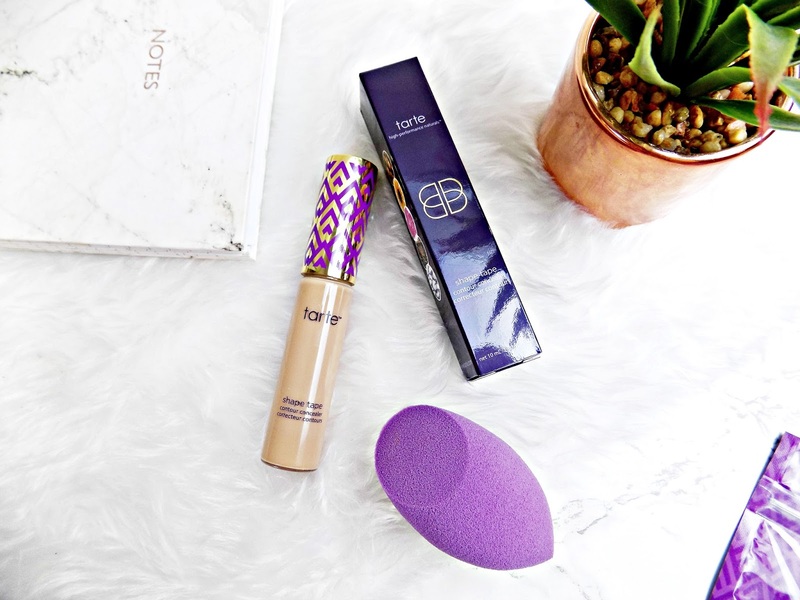 The Tarte Shape Tape concealer is available from QVC here or The Tarte website here.